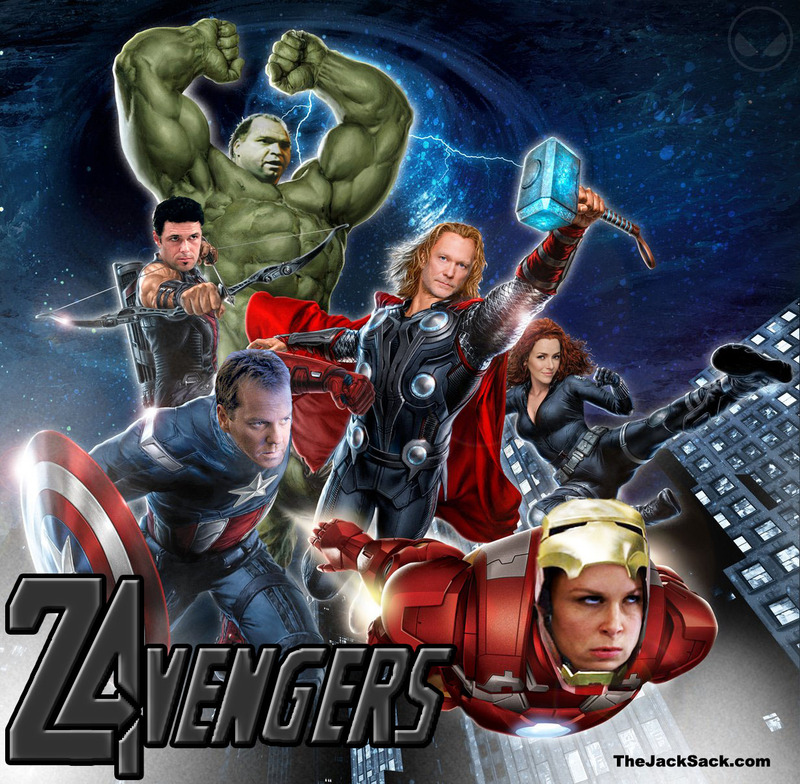 The Jack Sack™: 24: The Movie Poster Concept #2: THE 24VENGERS! 24: The Movie Poster Concept #2: THE 24VENGERS! This summer, Earth's Mightiest Counterterrorists Unite! Edgar's got a green problem, Renee Walker is still a foxy redhead, Mr. Buchanan is a Norse Legend, Chloe has taken flight in her latest invention and Tony Almeida is all about the bow and arrow... and soulpatch. 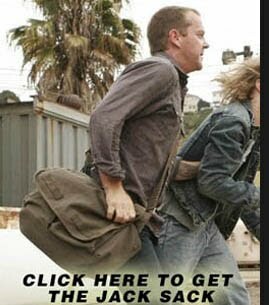 Jack Bauer is prepared to fight any evil so long as it don't take longer than 24 hours to stop the threat. Only right that Chloe appears the most ferocious.